Sukhavati, outside Berlin, uniquely combines spiritual community, specialized care, and educational training, under one roof. The centre provides spiritual guidance and support, as well as specialized care, to anyone—of all backgrounds and beliefs—facing a major challenge in their life, such as illness, old age, or death. The Care Centre at Dzogchen Beara, Ireland provides a sense of space and ease and is especially designed as a sanctuary of rest and renewal. Each year Rigpa sponsors a large variety of monasteries in the East, educational projects, the freeing of lives of animals, as well as many charities directly helping victims of natural disasters. 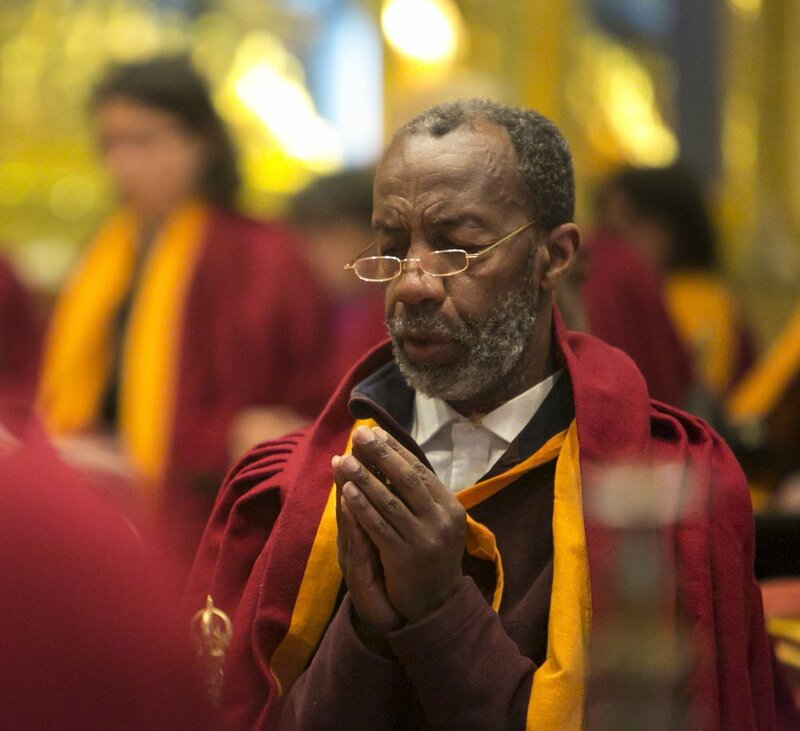 Current projects Rigpa supports include freeing lives, the constructions of a monastery by Kyabje Soktse Rinpoche, the Manjushri Educational Project for under-privileged children in Nepal co-ordinated by Khenchen Namdrol Rinpoche, & projects to preserve the traditional culture & sacred art of Tibetan Buddhism in Rigpa's centres in France & Ireland. Make a donation. Rigpa's main retreat centre, Lerab Ling in France, is home to a community of monastic and lay spiritual practitioners who observe a daily schedule of prayer, practice and meditation, following one of the most ancient lineages of the Tibetan Buddhist tradition. You can sponsor prayers and practices for people close to you, who are ill, facing difficulties, dying, or deceased, by sending a prayer request to Lerab Ling. Prayers done by our community can be requested by anyone, irrespective of your faith. The Tenzin Gyatso Institute, named after the 14th Dalai Lama of Tibet, was established with the mission of serving and advancing the Dalai Lama's vision, principles, and values. His message of compassion, religious harmony and universal responsibility has touched the hearts and minds of millions of people from all walks of life and spiritual traditions who recognize its truth, its urgency, and its extraordinary potential. The Tenzin Gyatso Institute is the organiser of Empathy and Compassion in Society international conferences.